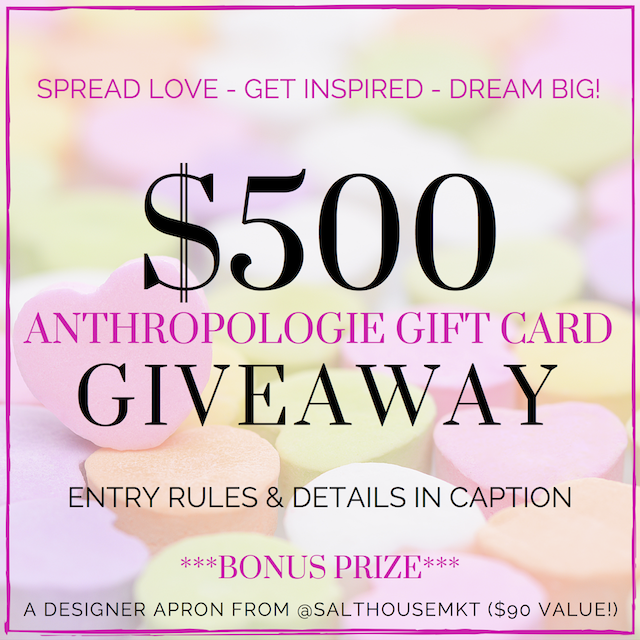 $500 Anthropologie Gift Card Giveaway! I teamed up with some of my favorite and most inspiring female bloggers and entrepreneurs this year for a group Instagram giveaway that's all about supporting and encouraging each other. I strongly believe that there are few things more powerful than women promoting and supporting each other, so we're trying to put a few of those good vibes out there to help make a little magic happen. Each one of the ladies in the group has done amazing things by following their passions, and I want all of their stories to inspire you to go after whatever it is you secretly dream about and desire. To take part, meet each lady, and be entered to win this fantastic $500 gift card to Anthropologie (on of our collective favorite stores! ), hop on over to my Instagram page for all the rules and details. The contest ends at 3PM EST on Tuesday, February 17, so don't delay! 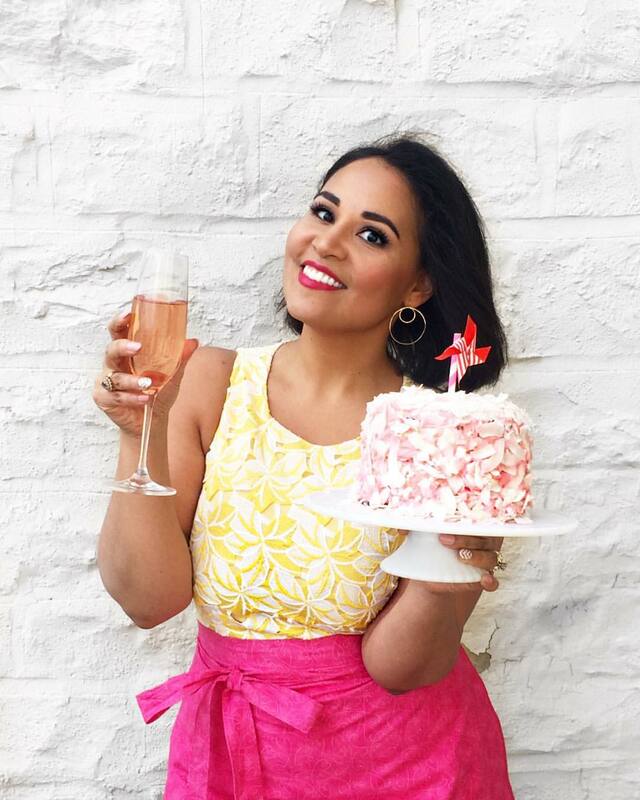 For a bonus prize (a super cute designer apron from SALT HOUSE), you'll also be able to tag a girlfriend or woman who inspires you and tell us why or how she does it. I've been loving reading the sweet messages, and would love for you to add yours to the mix.